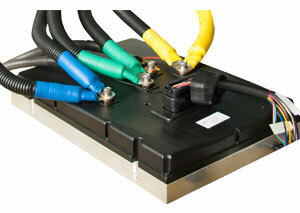 E Revolution Co Ltd offer a wide range of controllers to power your Electric motors. Check out our range on our website & your product is a click away. We offer safe, secure online payment with PayPal & deliver to your door. Sine wave inverters produce an actual sine wave. Sine wave inverters are more expensive than the square wave and the modified sine wave inverters. However, they are ideal for electric devices such as motors. Chargers are also designed to use a natural sine waveform. Square wave inverters can be used where the load on the UPS is going to be mostly resistive loads such as heaters, incandescent lamps, etc. Using square wave inverters on motors can produce harmonic distortion / humming. This leads to reduced efficiency and loss of power.